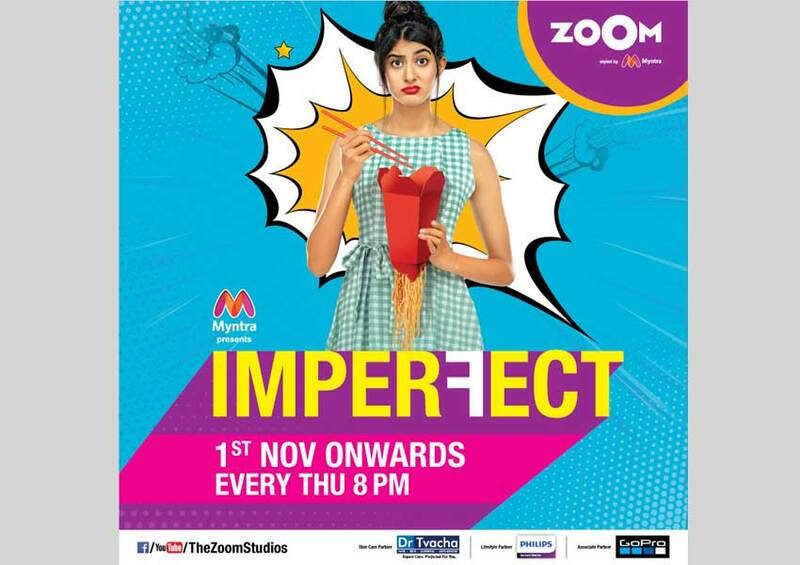 The Zoom Studios, original content arm of zoOm styled by Myntra is all set to celebrate the imperfections in life with its new show – ‘Imperfect’. The romantic comedy, unfolds the journey of 27-year-old girl Isha Sanghvi, who in her relentless pursuit of perfection faces a whirlwind of uncertainties that life throws her way and rediscovers herself when her fairy tale world gets shattered. Creating a buzz on social media within a short span of time, ‘Imperfect’ show promo has received rave reviews and garnered an astounding 2.5 million views. The show will premiere Thursday, November 1 at 8.00 p.m. on The Zoom Studios YouTube Channel and zoOm styled by Myntra. Isha Sanghvi, played by Samridhi Dewan, is not a typical conventional lead protagonist. She is a simple, naive young woman with her own quirks. Nothing in life can be perfectly planned and Isha reached rock bottom after losing both, her job and her prince charming. As her dreams crumble in front of her eyes, Isha sets on a journey to turn around her imperfect life. A 55-year-old sassy Life Coach, Simmy played by Sushmita Mukherjee, teaches Isha to love herself, to stand up for herself and to value herself. When her life falls apart, Isha realizes perfection is an overrated concept. Imperfect is produced by Anand Tiwari and Amritpal Singh Bindra of Still and Still Media Collective’s (SSMC) and directed by India’s first female director duo – Vidhi Gulati and Ruchi Joshi. Imperfect, presented by Myntra, skin care partner Dr. Tvacha, lifestyle partner Philips Garment Steamer and Associate Partner GoPro, premieres November 1 at 8:00 pm on The Zoom Studios YouTube Channel and zoOm styled by Myntra.